If you have a tailor’s professional sewing machine, you will find that troubleshooting is just as easy as taking care of a home sewing machine. The only true differences are that the professional tailor’s machine is larger, faster and sturdier. Taking time to perform a few simple tasks on a regularly scheduled basis will assure that your tailor’s professional sewing machine will give you many years of service. Use the lint brush to remove excess lint from the bobbin housing, needle, feed dogs and other small spaces. Apply small amounts of oil to all moving gears. Wipe away any excess oil with the soft cloth. Use the proper needle for the fabric that you are working with. For example, if you are working with denim, make sure you have a denim needle; for knits, use a needle specifically designed for sewing knits. Replace the needle if it shows any sign of wear, bending or stress. Discard all worn or damaged needles. 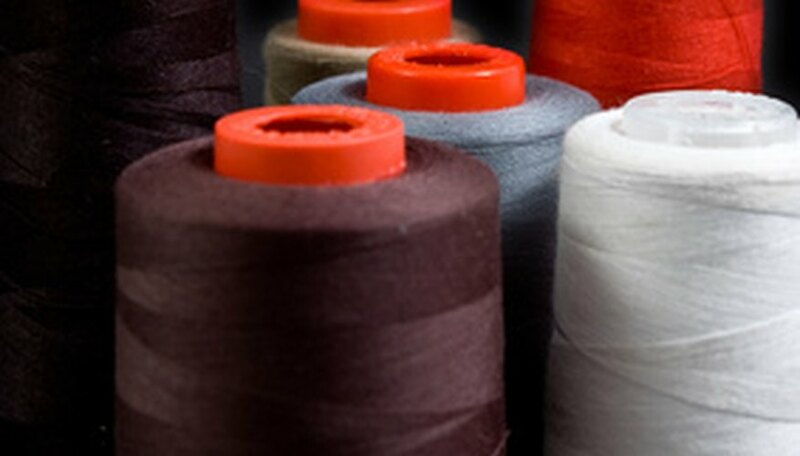 Make sure your machine and bobbin are threaded according to the instructions in your owner's manual. Make sure the bobbin is wound properly -- not too loose or too tight. Follow the instructions in your owner's manual to adjust the bobbin tension if necessary. Adjust the upper tension by turning the tension knob to the zero position. Turn the tension dial slowly, making the tension tighter until you achieve the ideal tension for the fabric and thread that you are working with. Reset the tension when you make significant changes in thread or fabric. If you are working with silk and your next project is a wool coat, you will need to adjust the tension setting. Reset the tension dial to zero if you do not plan to use your tailor’s professional sewing machine for an extended period of time. Leave the presser foot down. Leave the stitch position on a plain straight stitch. Leave the needle in the down position. Some machines rest with the needle in the up position. Refer to your owner’s manual to determine which setting is best for your specific machine. Protect your tailor’s professional sewing machine from dust and dirt by covering it with cloth, plastic or storing it inside a sewing machine cabinet. Some tailor's professional sewing machines are equipped with an automatic tension adjustment feature. Refer to your owner's manual for recommendations regarding your specific machine. Vernelle Nelson earned her first writing credit in 1979. Her books use plain language and common sense to help readers overcome challenges to find peace and harmony in their lives. She holds a Bachelor of Science in business management from the University of the District of Columbia and is currently preparing to become a Licensed Unity Teacher.